As soon as the Kia Stinger was unveiled at the Detroit International Auto Show in January 2017, everyone was captivated. Now that the new 2018 Kia Stinger has finally arrived in Canada, we must admit that it doesn’t disappoint. Starting at $45,870, the 2018 Kia Stinger offers the perfect balance between performance, space, comfort, and refinement. The 2018 Kia Stinger will eventually be offered with two engines, but for the moment only one block is available. Nevertheless, this turbocharged 3.3-litre engine will meet and even surpass the needs of most buyers. With 365 horsepower and an impressive 376 lb-ft of torque, this 6-cylinder engine impresses at every level. It’s paired with an 8-speed automatic transmission with shift paddles mounted on the steering wheel. 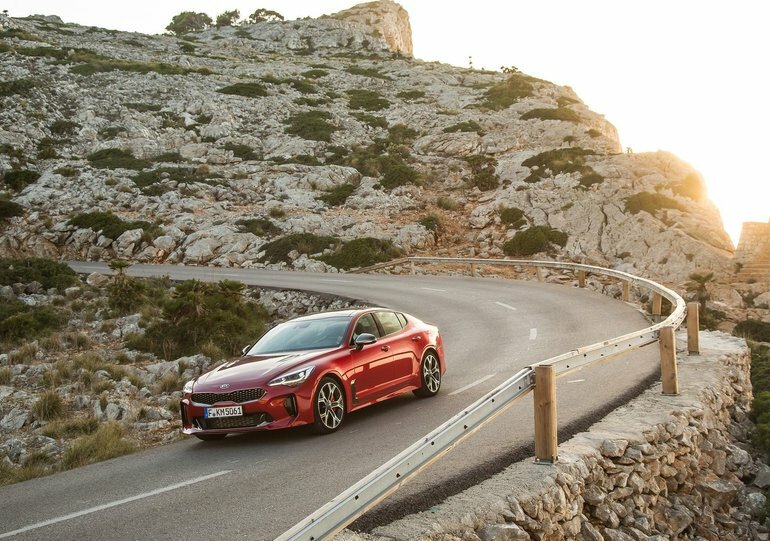 Thus equipped, the 2018 Kia Stinger is able to reach 100 km/h in less than six seconds. The new Stinger doesn’t only stand out in terms of performance. Indeed, we’ve been gifted with a high-end sedan that offers a panoply of features, from luxury to safety and connectivity. The new Kia sedan truly represents what its manufacturer is capable of. The entry-level model is proof of this, starting with an impressive list of standard equipment. The latter includes Brembo brakes, a 7-inch display screen, leather seats, and Apple CarPlay and Android Auto connectivity features. In addition, the UVO intelligence system is also standard and offers a variety of interesting features. Opt for the Limited version of the 2018 Stinger lineup and you’ll get even more features. We're talking about a 15-inch Harman Kardon luxury audio system, an 8-inch multimedia interface, intelligent cruise control, an HUD head-up display, and a 360-degree camera. Regardless of the model, the Kia Stinger GT will come equipped with 19-inch wheels. Discover the all-new 2018 Kia Stinger GT at Kitchener Kia today. You’ll be amazed to discover all that it has to offer.